Amazing news: the musicians who perform in musical productions at Babylon Village’s new Argyle Theatre have unionized with Local 802! On Jan. 11, Argyle management signed a voluntary recognition agreement with the union. So, what exactly does that mean? And how did we get here? The Argyle Theatre opened its doors in Spring 2018, after the former movie theater (and vaudeville house before that) was renovated by new owners. 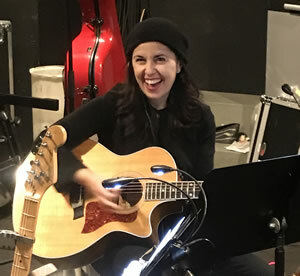 When it was announced that the Argyle would stage professional-quality musical theater year-round, Long Island musicians took notice. Local 802 organizers started sitting down with these musicians and listening. We asked: what’s it like to work at the Argyle? What’s working well…and what isn’t? Talking to the musicians who play at the Argyle, we learned what issues the musicians care about most. 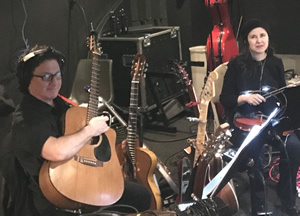 While many of the musicians were excited for the opportunity to play at this new local theater, many were already members of Local 802 and were aware of the value of working under a union contract. The Argyle’s pit orchestra musicians made it clear: they wanted the gig to be union. Once a strong majority of the musicians demonstrated support for the union first by signing a letter to the Argyle management and then by signing a union card, we were ready to approach the employer. 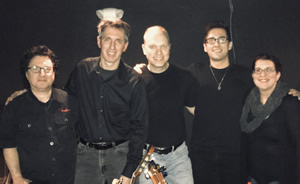 In late 2018, a small contingent of Argyle Theatre musicians and Local 802 staff met twice with the owners of the Argyle Theatre. Musicians explained in their own words why union representation was important to them, and they asked management to recognize the union by signing a voluntary recognition agreement. This would allow the theater to recognize the union as the bargaining agent without having to go through the National Labor Relations Board (NLRB) union election process. Although the musicians demonstrated majority support for the union, the owners of the Argyle Theatre declined to sign our agreement. On Jan. 2, we filed for a union election with the NLRB. The NLRB assigned an agent to oversee our election, mediating between the union and the employer to confirm how many workers are eligible to vote and set a time and place for the election. Meanwhile, we contacted the owners of the Argyle Theatre, reminding them that we would be willing to withdraw our request for an election if management would sign the voluntary recognition agreement. This time, they reached out to us, agreed to recognize the union, and signed an agreement recognizing any musician who performs at the Argyle Theatre as a part of our bargaining unit. While every organizing endeavor is different, in this case, the combination of musicians organizing and using the legal protections of the NLRB enabled the musicians to secure recognition of the union. Musicians came together and built enough power collectively to convince management to do the right thing. Argyle Theatre musicians are thrilled to be joining Local 802 members already working at other Long Island-area theaters (the John W. Engemen Theater, the Gateway Theater, and the Bay Street Theater) as well as the union actors, stage managers, directors, and choreographers at the Argyle. Congratulations to all the musicians who came together to organize for a standard of professionalism and performance across all musical theatre pits in greater New York! Interested in organizing your gig? Contact the Organizing Department at (212) 245-4802.